Pakistan hopes to emerge with a more robust economy. Poverty has crushed the spirits of many Pakistanis, but a partnership with China can create new opportunities for them. Chinese President Xi Jinping introduced the Belt & Road initiative in 2013, pledging to build major infrastructure projects to boost cross-border trade and investments in the entire region of Asia, Africa, Europe and the Middle East. Pakistan would play a crucial role to link a network of roads, railways and freight transport hubs between China with the Middle East and Central Asia. 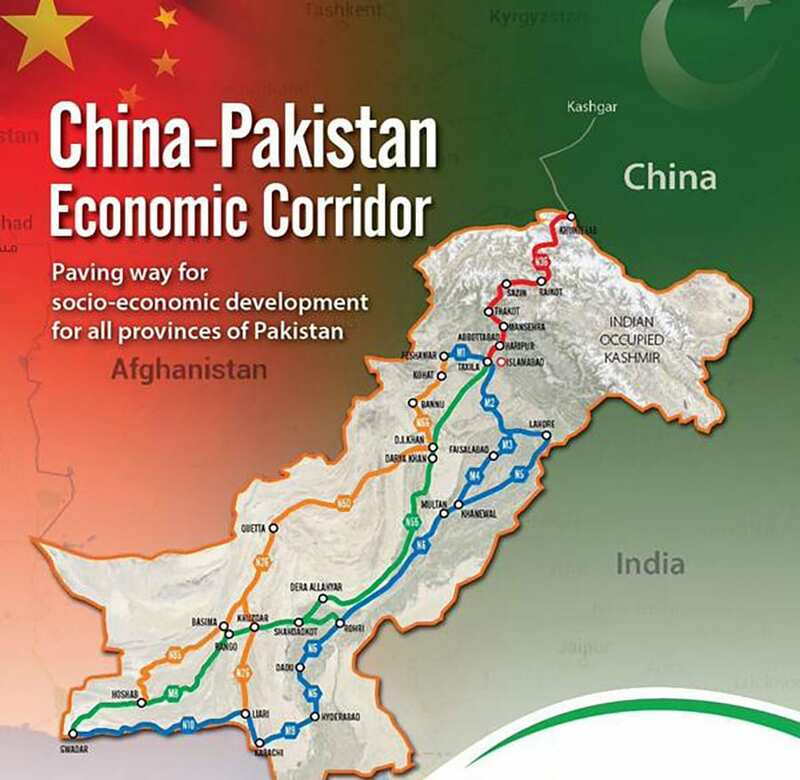 Beijing and Islamabad have agreed to embark on a 3,000 -km.-long economic corridor that would connect Pakistan’s Gwadar Port, located next to the Indian Ocean, with Kashgar，Xinjiang Uygur Autonomous Region, western China. Plans are underway to upgrade roads, railways, airports and build more power plants, industrial parks, science & technology centres and much more along the way. Pakistan Prime Minister Nawaz Sharif has promised to urbanize his nation, transforming it into a manufacturing powerhouse. Nonetheless, the country struggles under an energy crisis, where residents and businesses face frequent power outages. The Chinese company, Huaneng Shandong Ruyi is constructing coal power plants scheduled to begin operating next year in Sahiwal and Port Qasim, with total installed capacity – 2640 megawatts – electricity. Chinese companies are also setting up certification training programs to teach energy-tech job skills to Pakistanis to work in the energy industries: nuclear, coal, solar, hydro and wind. Chinese universities have offered scholarships to Pakistani students to develop their knowledge of science & technology. China’s vibrant economy has made it a major oil & gas importer. The Middle East accounts for 60 percent of China’s oil imports. Gwadar Port, Balochistan Province, holds vital links to the Caspian Sea and Strait of Hormuz with an indirect path to the Persian Gulf. Gwadar Port can fulfil a role as a refinery hub and point of origin for oil & gas pipelines that flow to western China. Such pipelines are vulnerable to terrorist sabotage, but Islamabad offered to deploy 10,000 Pakistani troops to protect the CPEC zone. Chinese companies can also enjoy access to 4sq.km. of Gwadar land that would be tax-free, and expected to become a hub for logistics, processing and manufacturing operations. China Overseas Port Holdings Co. has announced a $US4.5bn. investment to run Gwadar Port and would build more roads, power plants and other infrastructure for the industrial zone. The CPEC represents the largest infrastructure project for the Belt & Road so far. The two countries are collaborating to help Pakistan with 192 million people, rise above impoverished circumstances. More than 50 percent of its populations live below the poverty line, less than $US2/day. Accordingly, agricultural cooperation can generate higher incomes for rural farmers. Another compelling read: Market Crash 2017 All talk and no Action. Beijing and Islamabad signed a joint venture in 2009 with a $US2.452 million investment to establish a centre for Cooperation for Agricultural Research (CARD), in efforts to maximize productivity per unit of land in the fields of cotton, banana, oil seeds, maize, sugarcane and efficient irrigation. “Pakistanis are envisioning increased prosperity ahead, because China investment can elevate Pakistan into the category of fast-emerging economies,” Professor Saeed Chaudhary, director of the Independent Bureau for Human Issues, told China.Org. China’s success as a manufacturing hub may have been too successful. The nation had produced a glut of steel and other end products used for construction purposes. China can unload the excess capacity by building more infrastructure projects in the Belt & Road sphere, which is a win-win for all participants.